Get yourself a free sample pack of Handzies wipes that you can carry anywhere with you so you always have clean hands. Follow our link and supply them with your postal details and they will deliver it to you. 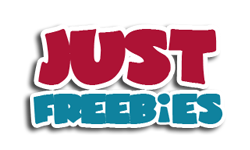 Click GET FREEBIE button to visit their website and order free sample of Handzies wipes. Accessorize your gadgets with some cool looking stickers from Patagonia as they have loads of them to giveaway along with their free fishing and surfing catalogs. Follow our link and supply them with your postal details to receive them by mail. Click GET FREEBIE button and order free stickers and catalogs from Patagonia. GoodRx is giving away free pillboxes so you can sort and organize your pills and it will more efficient to keep track of your intake. Visit their website now and supply them with your details to receive your free pillbox. Click GET FREEBIE button to visit GoodRx website right now and order your free pillbox. Limelight company is offering free samples of their Quench Cleanse and other skincare products so you can try them. Follow our link and supply them with your postal details to one delivered right at your doorsteps. Click GET FREEBIE button to visit their sample offer page now and order their skincare product for free. Performance Health has got free samples of their Safer pain relief kit that includes Thera Pearl, Thera Band and Biofreeze. Follow our link, supply them with your postal details and use code #choosePT in promo code field. Click GET FREEBIE button to visit Performance Health website now and order your sample kit. FRÉ Skincare company is offering free samples of their products that will make your skin fresh and glowing. To order a sample, follow our link and click Signup button and supply them with your postal details. Click GET FREEBIE button to visit FRÉ Skincare’s facebook page and order your sample today.